Alternative Care Clinic tries to set itself apart from all of the other medical organizations out there by focusing their emphasis on two of their personal tenants or mission statements if you will, upon which they have built the foundation of their company. Their missions not only hold their patients at the highest regard, but the physicians under their roof as well! The first mission of this organization is the one that is solely focused towards the betterment of the medical community and their physicians. Many clinical organizations out there tend to put all of their effort on the patients alone heeding no amount of care to their physicians, this results in the physicians enduring a lot of stress and ultimately in some cases leaving the place. Here, at Alternative Care Clinic, they have vowed to uphold their reputation as being a Professional Medical Corporation, providing extensive administrative ad official support for their physicians by taking off the load of maintaining the facility from their back, allowing them to put all of their devotion towards the patients. While the first mission accentuated much more towards the physicians, the second mission greatly gears towards making sure that their patients get a safe and sound environment for them to visit and have themselves checked up. The physicians here are highly trained to follow the HIPAA compliance when it comes to protecting the confidentiality of their patients. 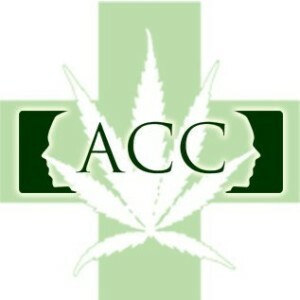 Alternative Care Clinic’s physicians are high hospitable and extremely friend in nature, they will always sit with you in one on one conversations and discuss everything with you with utmost discretion until a potential solution to your problem has been found out and help you get validated for a Medicinal Marijuana Card.